Please read our terms before you place your order. All prices are inclusive of Tax (unless otherwise stated). We do not accept orders via fax, email or telephone. In these Terms of Service, "we", "us", "our", "DressDivine" or Dress Divine means DressDivine.com.au Limited. These terms and conditions govern the use of this website, the access to the website, and the purchase of goods and services through this website. By agreeing to order a Product, you agree to be legally bound by these Terms and Conditions. These terms and conditions may be updated from time to time. You should check the terms and conditions regularly to take notice of any changed that we make to them. The goods listed on our website are genuine branded products imported into Australia by a party other than the official Australian distributor. The comparative retail price on our website is an approximate guide to the item’s customary selling price by Australian non-discount retailers and, to the best of our knowledge, does not exceed the highest retail price (excluding special promotions or sales) of the same item by such national non-discount retailers. The retail price does not represent our present or former selling price. You may wish to use the retail price as a guide in your evaluation of our prices. Because we sell our merchandise over the internet on a national basis, and because the most of the items offered by Dress Divine are closeouts, overstock, end-of-season or otherwise remainder inventory, it is not possible to know if our merchandise is sold at retail value in any particular location or at any particular time. Comparative retail prices may be used as an approximate guide as to what you would or could have paid elsewhere within Australia. This website is owned by Dress Divine and its associates, and subject to copyright. The materials displayed on this website, including without limitation all editorial materials, information, photographs, illustrations, and other graphic materials are the property of Dress Divine or the trademark owner and are protected by Australian copyright laws. All trademarks, brands and names appearing on this Site are the property of their respective owners. On our site, the registered trademark names are used solely to identify and describe our products, as well as acknowledge the design-house. Dress Divine is not affiliated with/nor endorsed or sponsored by these companies and is a parallel merchant of these authentic designer labels. No material contained on this Site should be construed as granting any licence or right of use of any trademark or part of any trademark displayed on our website without the express written permission of Dress Divine or third party owner. To place an order with DressDivine.com.au you must be over 18 years of age. When register an account at DressDivine.com.au, the following terms and conditions apply. You must provide DressDivine.com.au with true and accurate information in the registration form. You must keep your user name and password confidential, and we are entitled to assume that anyone using that user name and password is you. If you sign into your account at DressDivine.com.au that using a single-sign on (e.g. Facebook Connect) on a public computer (e.g. at a university, public library etc,) and do not sign out, someone else who uses that computer after you may be able to access your DressDivine.com.au account. We therefore advise you to ensure that you log out of your DressDivine.com.au account when you have finished using a public computer. When you access the DressDivine.com.au using a mobile device (e.g. a phone or tablet) through a web browser or an app, you may stay signed in from that device, depending on your settings. As a consequence this means that someone else with access to your device may be able to access your DressDivine.com.au account. You should protect the device with a password. If your device is lost or stolen, use remote wipe facilities (if available) to clear all personal information on your device, and change the password for your DressDivine.com.au account. By placing an order for any goods on DressDivine.com.au you are offering to purchase the goods on and subject to the following terms and conditions. All orders are subject to availability and confirmation of the order price. When you place an order with us at DressDivine.com.au, follow the instructions on the website. Once an order is placed you will receive an acknowledgement e-mail confirming receipt of your order. This email will only be an acknowledgement of your order and will not constitute acceptance of your order, or if prior to this we receive notice from you revoking your order. A contract between us for the purchase of the goods is formed when your payment has been approved and we issue a confirmation of order. 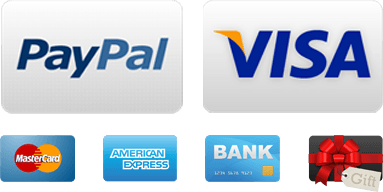 You pay for the Product in full at the time of ordering by supplying us with your credit card or debit card details from a credit card or debit card company that is acceptable by us or PayPal. You must be fully entitled to use the card credit and have sufficient funds on the card to cover the purchase. We reserve the right to obtain validation of your payment details before providing you with the Product. If you have any questions regarding payments please contact our customer service team at sales@dressdivine.com.au. We may in our discretion refuse to accept an Order from you for any reason, including unavailability of the product, or we may offer you an alternative Product (in which case we may require you to submit a new order). Unless otherwise stated, we ship all products with Australia Post Regular Delivery. On delivery of the product you will need to sign for it. You agree to inspect the Product for any obvious faults, defects or damage before you sign for the delivery. You need to keep receipt of the delivered Product in case of future correspondence with us about it. Please note that we may not be able to deliver to all locations. If your location is a location that we cannot deliver to, we will contact you using the contract information you provide in the order form to arrange either delivery to an alternative address or the cancellation of the order. All products are delivered in our standard packaging, if you require packaging for a special occasion please contact us. You must take care when opening the package and the product to ensure that you do not damage it. 2. Cancel the contract and refund the cost of the product minus administration and postage costs incurred by us in our attempt to deliver you the product. We offer to our customers in the Brisbane area the option to pick-up their purchased items directly from our location in Brisbane city. This option is available at the checkout page as one of the shipping carriers. Once the order is processed an email will be sent to the customer informing that the order is ready to be picked up. The package will only be released upon presentation of the Order Reference given in the confirmation of pick-up email. Monday to Friday, 7:00AM-8.00AM and 5.30PM-7.00PM. Saturday and Sunday collection is available upon agreement with the customer via our contact form. We reserve the right to cancel the contract if the product is not available for any reason. If this is the case, we will notify you and return any payment made. In most cases we will do this using the original method used by you to pay for the product. At DressDivine.com.au we try and ensure that all details, descriptions and prices that appear on the DressDivine.com.au Website are accurate, however, errors may occur. If we find that there is an error in the price or any other aspect of the good, we will notify you as soon as possible and give you the option of either reconfirming the order with the update product information of cancelling the order. If you cancel after the order has been made we will give you a full refund. You have the right to cancel the purchase within 30 days. The right applies only if the item, its tags and original packaging can be returned in its original condition. The product must not be used or damaged. Items sealed for hygiene reasons can only be returned if the seal is intact. Some examples of items which are packaged with this seal are; earrings, swimwear, underwear, hair accessories etc. Items marked as Seconds or 2nds are heavily reduced even though they usually have only minor flaws that are clearly described in the item description. If you want more information about an item in this category please contact us. These items are sold as is and cannot be returned for a refund or replacement and thereby not included in our free return policy. During the return policy period we will reimburse the least expensive return shipping option that includes tracking back to our warehouse for customers in Australia only. The shipping refund will be provided as a voucher to be used in our web-store with a maximum value of $15 AUD and is valid for 3 month from the date it was issued. This value will be set at our discration on case by case based. The free return policy is limited to only 2 returns per month and customer. Further returns within one month are at the expense of the customer. The return shipping voucher will be sent separately from the purchase refund. International returns are accepted but customer must pay for the return shipping back to Brisbane Australia. Loss or damage of the product during the return shipping is the responsibility of the buyer of the product. No refund will be made until we acknowledge the receipt and approval of the returned product by email to the customer. If you want to use the return policy, please contact us via our contact form for further guidance. In a dispute between a private person and DressDivine.com.au we will follow the laws and recommendations of Australia. Events such as war, natural disasters, strikes, government decisions, failed deliveries from subcontractors, costly event and similar events outside DressDivine.com.au's control, which is not reasonably foreseeable, shall be concidered caused by force majeure, meaning that DressDivine.com.au is relieved of its obligations to fulfill contractual agreements.